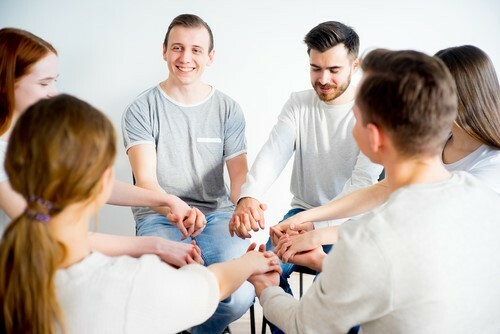 Pennsylvania drug and alcohol rehab discusses the importance that aftercare plays in addiction treatment and recovery. Pennsylvania addiction rehab center, Life of Purpose, talks about why it’s important to continue with aftercare following inpatient addiction treatment. Professionals at the addiction rehabilitation center believe that aftercare is a critical piece to their patients’ continuing sobriety and recovery from addiction. The primary reason for aftercare following addiction treatment is the prevention of relapse. Why Is Relapse Prevention So Important? Early sobriety, the time that immediately follows addiction treatment, is often a perilous time for people in terms of relapse. For patients returning home after completing inpatient treatment, where they are removed from “real life” and have no access to drugs or alcohol, it can be a time of stress and temptation. The people, places and things that they return to after treatment could encourage a return to using drugs or alcohol. For that reason, it’s critical that the newly sober stay engaged in their recovery and have some accountability, as well as support, as they navigate the waters of early sobriety. Aftercare is often offered by addiction treatment facilities for their patients who have completed inpatient treatment. It is continued care where those new in recovery have access to support, education, relapse prevention, and learning new coping skills, so that they can be successful in their recovery. Aftercare can come in many different forms. For those who have completed inpatient treatment, it may come in the form of additional treatment like intensive outpatient programs (IOP), partial hospitalization programs (PHP), or a rehab’s aftercare services for program graduates. What Are the Benefits of Addiction Treatment Aftercare? While the main goal of aftercare is to help prevent relapse, there is so much more that you get out of it. The above benefits are only a handful of the wonderful relationships, insights and support that you will garner from attending an aftercare program. If you or a loved one is suffering from alcohol addiction, Life of Purpose can help. We offer treatment programs in Pennsylvania, New Jersey, and Florida. Please contact us today at 1-888-787-7673 for more information about how to get help.